IS American Mold Experts TREATMENT SAFE TO USE IN OUR HOME? CAN YOU COME OUT AND INSPECT OUR HOUSE FOR MOLD? WHAT IS YOUR MOLD DISINTEGRATING SOLUTION, MTR94 ® & WHY IS IT BETTER? WHAT IS “FOGGING” AND WHY IS IT BETTER? WHY DO YOU GIVE A WARRANTY ON SOME JOBS AND NOT OTHERS? CAN YOU DECONTAMINATE OUR HEATING AND A/C DUCTS? WHAT IF I ONLY HAVE MOLD IN MY ATTIC (OR CRAWLSPACE)? WHAT IF I ONLY HAVE MOLD IN ONE AREA? ARE THERE ANY AFTER EFFECTS FROM THE CLEANING? DOES YOUR MOLD TREATMENT MAKE THE MOLD DISAPPEAR? WHAT IF MY HOME NEEDS TO PASS A MOLD CLEARANCE TEST? WILL THE CLEANING HAVE TO BE DONE MORE THAN ONCE? WHAT WILL OUR BUILDING SMELL LIKE AFTER TREATMENT? I AM VERY SENSITIVE TO CHEMICALS/INHALANTS. HOW CAN I KNOW THE TREATMENT YOU USE WON’T ADVERSELY AFFECT ME? WHERE ARE YOU LOCATED? DO YOU WORK IN OUR AREA? HOW LONG HAVE YOU BEEN DOING MOLD REMEDIATION? CAN WE CALL OTHER CUSTOMERS YOU HAVE DONE THIS WORK FOR? CAN’T I JUST USE BLEACH TO CLEAN MOLD? “Typical” mold treatments are chemical biocides. 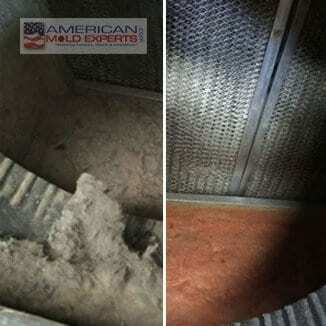 Our treatment is natural organic solution used in our mold removal process. Think about it – mold is a “natural” problem, so shouldn’t it require a natural solution? There is a common concern since our treatment cleans mold, what other objects might be affected? Although specifically designed to target mold, our MTR94 ® solution can clean most any surfaces. Our team will clean surfaces including sides of drawers, bottoms of shelves, books, back of bookcases and anywhere else mold likes to hide. Then to ensure reaching all area and to reach spores in the air we release a dense fog. To keep excess fog disbursement off furniture we cover horizontal surfaces and furniture after cleaning and HEPA vacuuming. A few objects that require bacteria, such as oil paintings, leather furniture, and certain plants, should be removed, or safely concealed or we will hand clean each item then wrap for safety. This is the only worry when it comes to use of our fog damaging your property but we take special precautions. It should not degrade, damage, or ruin anything else it comes into contact with. 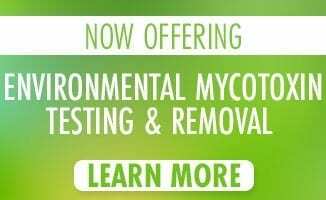 The fact is our treatment saves more of your property than any other mold removal/remediation method. The cleaning is so thorough in removing mold, even from porous materials and fabrics, that it saves more compromised material than any other remediation method available. A lot of mold-infected property that would ordinarily have to be thrown away with traditional remediation methods can now he salvaged. Since our MTR94 ® is in the form of thorough hands on cleaning and a fog that seeks out and cleans away mold, it eliminates the need for the usual demolition and reconstruction required to reach the mold when using biocides, chemicals and encapsulants. In many cases there is no need to rip out walls and tear up carpet for mold removal. Why do all this work when MTR94 ® will do it for you? Our researcher & PhD Microbiologist describes the product effectiveness as quite natural. In fact it is derived from plants. For thousands of years plants in the woods have had to live in the same space as mold. Mold function in the wild is to help biodegrade materials to recycle. Yet plants had to survive and live right next to the mold and built up its own natural defense to survive against mold. So it make sense that the same biological process that keep the mold from destroying healthy plants in the forest is now the same base material we use to cleanse your home. Yes, quotes are free if you know you have mold and can describe the square footage. We can estimate over the phone or have a mold advisor visit to quote. Inspections start at $299 for inspection that includes 2 lab tests regardless of using us for remediation. It comes with a full picture inspection report and the lab results. 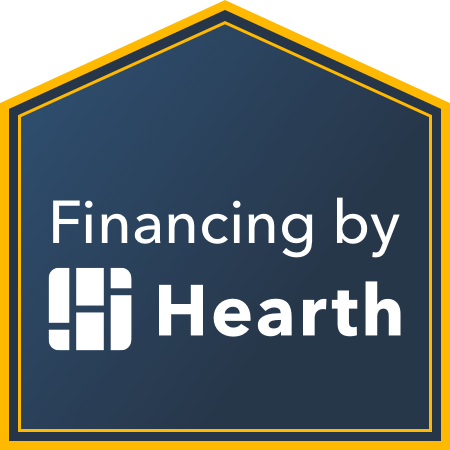 Commercial or large homes are $475. Additional lab tests, if needed are $60.00 each. Because of our volume of business with the lab we get results back in 24-48 hours. Inspections come with an explanation of results from one of our trained Mold Advisors. WHAT IS YOUR MOLD DISINTEGRATING SOLUTION, MTR94® & WHY IS IT BETTER? Our special formula is called MTR94®. It isn’t a man-made chemical at all, but a naturally occurring organic cleaning solution derived from plants that effectively cleans and removes mold. This fast acting treatment does all the work for you. You don’t have to use toxic treatments that leave a toxic imprint in your home to treat mold effectively. MTR94® is an environmentally-friendly, safe, green cleaner. EPA allows safer products to carry the Design for the Environment (DfE) label. This mark allows consumers to quickly identify and choose products that can help protect the environment and are safer for families. When you see the DfE logo on a product it means that the DfE scientific review team has screened each ingredient for potential human health and environmental effects and that—based on the best currently available information and EPA expert judgment—the product contains only those ingredients that pose the least concern among products in their class. 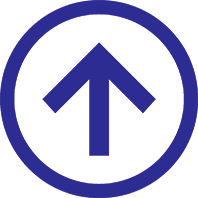 MTR94® was approved to display the DFE logo in October 2010. Our natural plant components are proteins that speed up chemical reactions. If you leave a blob of protein in a Petri dish, will it just break down to the amino acids? No. But add these plant components or biological substance (proteins) that act as catalysts and help complex reactions occur everywhere in life. These are very similar to the substances in your body that breakdown and digest the food you eat. When you go home at night and the door is locked, can it open itself? No. You need a key that is just the right shape to fit in that lock. Otherwise, you’re stuck in the cold. Our special combination of plant materials work in a similar way (locks and keys). They complete very specific jobs and do nothing else. They are very specific locks and the compounds they work with are the special keys. In the same way there are door keys, car keys, and bike-lock keys, there are a special mixture of natural catalyst within our body that have very specific responsibilities. There are four steps in the reactive process of MTR94® working on fungi. The organic solution and a substrate are in the same area. The substrate (fungi) is the biological molecule that the solution will attack or create this catalyst reaction. The organic materials grab onto the substrate with a special area called the active site. The active site is a specially shaped area within the components of the our solution that fits around the substrate. The active site is the keyhole of the lock. The organic treatment lets go. When the solution lets go, it returns to normal, ready to do another reaction. The substrate is no longer the same and the mold is cleaned away. There are many factors that can affect the effectiveness of organic solutions and their ability to perform and clean away fungi including temperature, activators, PH levels, and inhibitors. MTR94® formulation has produced a combination of organic materials that attaches itself and attacks the mold spore. This is how the treatment cleans the mold from your home. Additionally our process is NON-Destructive Remediation , no hazardous chemicals released in your home, 100% Money-Back Guarantee, One-Year Renewable Guarantee, save over money as compared to traditional methods, quick Process (most jobs take only 1 day based on complexity) and non-toxic and biodegradable cleaning process (guaranteed safe). We combine cleaning with fogging for the most thorough treatment and complete coverage. Mold is microscopic so in many cases invisible spores can be anywhere. We utilize commercial grade professional fogging equipment. This equipment allows our unique formulation to disburse in molecules small enough to reach into electrical receptacles, inside walls and penetrate porous surfaces such as carpet, and ceiling tiles. It goes the same places that the mold spores floating in the air contaminating your home. For this reason you get a much more through process versus trying to scrub all surfaces with a chemical fungicide or biocide without missing a spot. Missed treatment areas allow the microscopic mold spores to remain behind to mature on another day when conditions are right and continue to cause health issues. On fully warranted jobs, we wait 72 hours (because mold will start to grow in 24-48 hours) then clearance testing is performed because our job is not complete until the lab says we are. Since mold is microscopic we want to be confident that the problem is taken care of. With this process we can offer 100% Money Back Guarantee. In some cases due to building structure that naturally allows moisture we cannot warrant unless the moisture intrusion can be repaired. For instance stone foundations in older homes have a tendency to allow moisture to seep into a crawl. So we can clean that area but cannot provide a warranty as new intrusions of moisture can cause growth again. Our product does have a barrier effect but no product on the market is 100% effective when new moisture is introduced over long periods of time. In this same case if it is possible to encapsulate the crawl space, which is an added service, then we might be able to include the warranty. In other cases the homeowner does not want to spend the money to treat “condition 2” areas. Condition 2 is a level of contamination with settled invisible spores that typically have arrived there from a “condition 3” visible mold area. For example you may observe visible mold in your upstairs bedroom from a roof leak, condition 3. The spores from that area could have been disturbed from previous cleaning or air movement and migrated through the HVAC system or natural air flow to the hall way or other rooms upstairs, yet you do not see any “visible” mold upstairs other than that bedroom. We may recommend testing to confirm the degree of contamination upstairs, invisible mold in the other areas. But you choose to only have the room with visible mold cleaned. We provide “containment” for that bedroom so our work and cleaning is contained to that room and its contents. Any spores we disturb will not leave that room. But because we know there is a strong likely hood of condition 2 present in the other areas, we cannot warrant the bedroom since we know that other areas that might have invisible mold through natural air flow and can re-contaminate the room we just cleaned. We prefer to be a through as possible but realize there can be some cost constraints. Yes, we have a special fogger made especially for air systems. This is especially important since active mold colonies constantly puts out mold spores that circulate in the air though your heating and cooling system. In this process we also include the traditional duct cleaning, removing where possible dust or debris. We can treat isolated areas but we would have to inspect the area to make sure there has not been contamination to other areas. And we definitely want to help you diagnosis the cause which may require other contractors services. We maintain a list of trusted, reliable contractors if other services are needed to repair the water intrusion causes. If that one area is confined we can just treat that area. But you want to be sure that invisible mold spores have not been able to travel throughout other areas of your home, we call this condition 2. Otherwise you will end up with another problem area sometime in the future or risk the possibility that someone in your home that has a mold sensitivity or compromised immune system will have symptoms from the remaining spores. What we typically see is our clients telling us how much better they feel after the treatment. Many times we hear of symptoms that have cleared that they never associated with the mold exposure. One gal reported that her 3 year old daughter no longer had her sleep disturbed by a chronic cough she once had. Or the smoker that thought her symptoms were from smoking and turned out to disappear after mold cleaning. Further MTR94 ® leaves behind an invisible, organic-based “barrier” on a surface area. This microbial coating helps to retard future mold growth. If the area experiences reoccurring moisture exposures, the coating may need to be reapplied. Also, paint adheres to the barrier so you won’t have any difficulty if you choose to repaint later. Yes and No, in most cases the areas with visible mold colonies we are able to liberally apply our special formulated solution and scrub clean. Since MTR94 ® cleans away the mold you should have no visible signs of the mold in most areas. There are few exceptions. Areas like grout in a shower that has been treated with bleach where the bleach has etched into the grout can require the use of baking soda scrubbed into the grout. Areas that have had mold long term can penetrate the surface/substrate which will mar the surface and leave markings or determinations that can show. Additionally we sometimes see the crawl space and attic remain some stains due to the mold consuming the surface. We can’t guarantee all stains will disappear but we do after testing to verify our desired results. No problem, we do post testing with every treatment. The environmental lab will provide you with a full report. If you have cleaned it yourself or had another company treat we can also do clearance testing. Not typically. But if for some reason we do not get the after test results with significantly improved results we may treat a second time. Our treatment is NOT a chemical, it is a natural organic solution which is environmentally friendly (Green). We have never had anyone have a negative reaction, in fact just the opposite. Our clients reflect back their improved symptoms. Further, EPA allows safer products to carry the Design for the Environment (DfE) label. This mark allows consumers to quickly identify and choose products that can help protect the environment and are safer for families. If you want we would be glad to send a sample on a cotton ball to your allergy doctor to supervise a test exposure. Just let us know. We work in Indiana and surrounding states. We are located in Indianapolis & Avon, Indiana a suburb of Indianapolis. Our primary business serves Central Indiana, Dayton & Cincinnati Ohio. We may add a trip fee with treatments over 60 miles from our location. Our experience dates back to the 1980’s with traditional remediation methods. We have also worked with the encapsulation methods and its limitations. In 2008 we formed American Mold Experts as a division of Mold Testing & Remediation, Inc. to specifically expand this NEW method. We have found MTR94 ® to be the most effective, thorough and least expensive method and has the bonus of being “green”. We can give you testimonials, reviews and contacts with some of our professional affiliates but most of our customers prefer to remain confidential due to the stigma for some individuals or business attached to having mold treatments. Please contact us for our contacts with our professional affiliates. This is a very common misconception, but bleach will not kill or eliminate mold. Mold will typically return in less than 24 hours after using bleach. Cleaning stirs up mold spores and puts them in the air, creating more mold related health problems and allergic reactions. Bleach only treats the surface, it does not treat airborne spores. It is ineffective and not recommended on porous surfaces such as concrete, wood, wallpaper, sheetrock, grout, books or clothing and is 99% water. Water is one of the main contributors of the growth of harmful bacteria and mold. 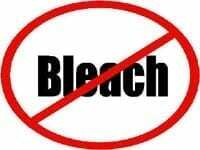 Please do not clean toxic mold with bleach!